Music Lesson Discount! Enroll today. 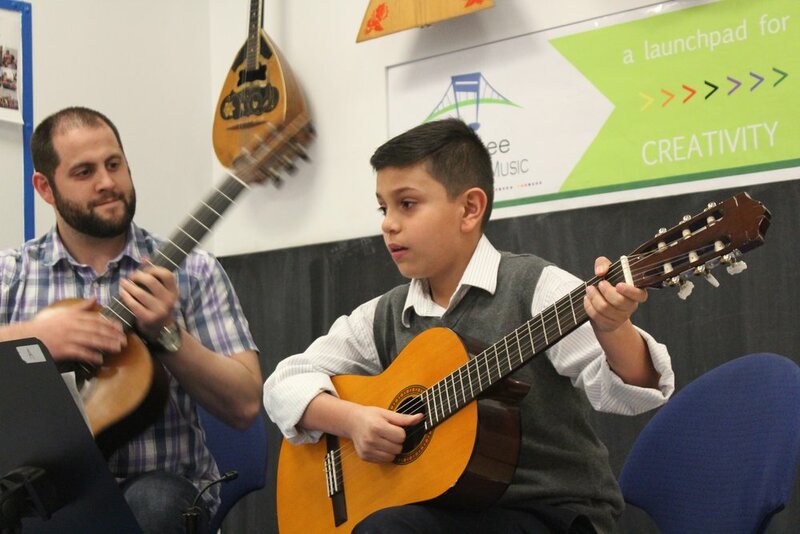 Established in 2010, the Fort Lee School of Music is a place where children and adults receive all the benefits of a music education by studying with highly skilled teachers. Fort Lee School of Music is the premier music school of Bergen County with hundreds of gifted and talented students enrolled from nearby neighborhoods that include Englewood Cliffs, Edgewater, Tenafly, and Palisades Park. We strive to inspire students to reach their full potential through our teaching motto — "Where Fun Meets Challenging!" The Fort Lee School of Music faculty consists of professional musicians who possess a strong commitment to teaching, performing and community engagement and have been trained at some of the world’s most prestigious music conservatories including Juilliard, Mannes College, Manhattan School of Music and Yale. What are the non-musical related benefits of studying music? What types of classes do you offer?